Below are some case studies in using intentional innovation. All University Prep teachers participate in ITIP, the Individualized Teacher Improvement Plan. This is UPrep’s system for individual teacher growth and evaluation. Intentional innovation is built into the three-year, ITIP cycle. Over three years, each teacher gathers their ITIP team, identifies a key facet of teaching practice to work on, completes targeted professional development, makes changes to their teaching practice, studies evidence of the effect on student learning, reflects on their progress using this evidence, and presents their findings to their peers. Learn more about University Prep by clicking here. Since 1959, York School has created an exceptional college-prep experience for our youth: inspiring them to develop intellectual curiosity; challenging them to create and try new things; and preparing them to be passionate contributors in college and in life. At the base of this experience is the strong and welcoming York community. The 225 students in grades 8-12 join us from from public and independent middle schools in Monterey, Santa Cruz, and San Benito counties and around the world. Informed by a two-way exchange with the Stanford d.school, York School used the design process to redesign their library. To begin, the academic coach and librarian led the creation of an empathy map through studying the student experience from different perspectives. The team then visited other libraries, developed a master redesign, prototyped design elements in the existing space, and finally, adopted the final solution. The result? High satisfaction with the new design. Staff plan to survey students and faculty to follow up and report to donors who helped fund the project. To learn more about this intentional innovation, contact: Sean Raymond, Assistant Head of School and Academic Dean. 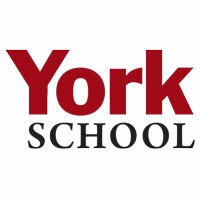 Learn more about York School by clicking here. UCDS was born as a lab school on the campus of the University of Washington in 1911. Since the inception of this school, our teachers have assumed the role of educational researchers as they designed, implemented and evaluated our programs. Today, as a professional practice school, UCDS is engaged in ongoing educational reform. Our school is a dynamic learning environment for teachers as we work together to understand and inspire each child that we serve. Like our students, teachers at UCDS collaborate with colleagues and support each other professionally. No one works in isolation. Everyone is called upon at one time or another to coach, to present, to consult, to conduct action research, and to network. Each faculty member brings different expertise and experience, enriching the learning environment for others. Guiding Question: How do we design an assessment tool that reflects a child’s growth and development while also communicating our program values and inviting dialogue between home and school? The Early Education program at UCDS spent many years adapting or implementing a range of assessment tools to track student growth and development and share this information with families. Each tool we employed allowed us to share a checklist of skills with families, but felt disconnected from the classroom context and thinking processes students employed. We wanted opportunities to, in collaboration with families, analyze and uncover how students were making meaning about the world they lived in, and how this directly influenced their skill development. We embarked on a journey to create our own assessment tool that not only focuses on the skills children should have when they “graduate” from our program but also reflects our program values and invites back-and-forth dialogue between home and school. UCDS Early Education Student Profiles provide a space for parents and teachers to talk about skill development and learning goals within the context of how students learn both independently and as part of the classroom community. Learn more about UCDS by clicking here. The Williams School's mission is to foster the intellectual, moral, aesthetic, and physical development of young women and men in preparation for college, a lifetime of learning, and active participation in a changing society. 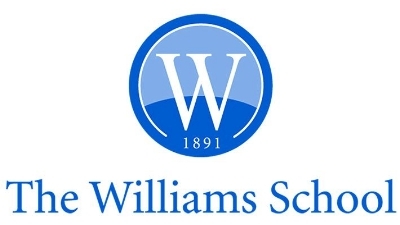 Founded in 1891 in New London, Connecticut, The Williams School encourages learning and self-discovery in a collegial atmosphere that provides academic challenges and personal rewards. Williams engenders respectful and collaborative relationships throughout all facets of the community. It began when the school identified general frustration with its Advanced Placement program. Rather than seeking a solution right away, staff took 15 months to identify ways in which the the AP was and was not working. They formed focus groups and reached out to three dozen colleges before writing a proposal, which they then put before every constituency in the school. Even the board of trustees voted on the proposal, although it was an operations issue. Having made the decision to change, the school then spent nine months presenting it to the school community. Now, five years after the change, the school is spending a year in reflection about how the move to an advanced courses model has gone. This innovation process is familiar to everyone in the community and has proven effective with different kinds of program questions. Learn more about The Williams School by clicking here. Visit Bullis on any day and you’ll encounter something fun...or curious...or especially fascinating...from a class speaker to a crazy experiment, filming or role-playing, shows and fairs, and much, much more. Twenty-first century education is more than sitting in a classroom. It’s engaging students with hands-on work, project-based learning and interdisciplinary activities that balance the day and bring learning to life. That’s what you’ll find at Bullis every day, every month. Throughout the year, students enjoy a great array of activities that make learning fun as well as educational, on a campus that values student life, balance and individual development in equal measure to academic challenge. English teachers had observed that students were not proofreading essays before submitting their work. If they were to use a digital tool, it should offer to teach students how to correct their own mistakes, not just correct them automatically. In collaboration with the director of technology, English department chair, and two English teachers, the upper school technology coordinator identified Grammerly as a potential solution, confirmed that its features aligned with teacher goals, ran a pilot implementation supported by Grammerly, and is now implementing school-wide. 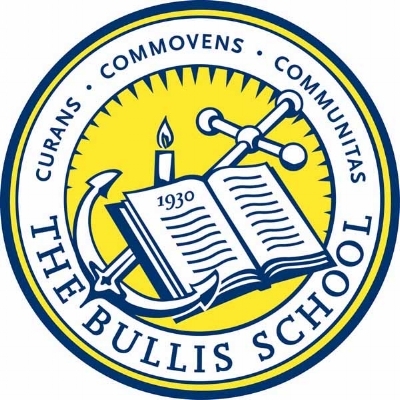 Learn more about The Bullis School by clicking here. At The Exploris School we are committed to global education. Since welcoming our first class in 1997 our school-wide instructional approach has been based on preparing our students for life in an interconnected world. We explore new ways for students to learn about the world and themselves. Together, Exploris teachers, students, and parents have created a dynamic learning environment that truly redefines the K-8 educational experience. Innovation and excellence are the standards we use to measure our success, and we have earned a reputation for both. Every Exploris faculty member serves on a study team that is guided by 10 core values. One study team planned for the school’s transition into the first three floors of the first energy positive building in North Carolina. Since the move was two years out, the study team decided to prototype a program shift in advance of the physical move. They conducted extensive research, considered different models for organizing teachers and students, and settled on a double homeroom structure for each grade with two teachers and one assistant teacher. Since this represented a big shift from the single-teacher classroom, teachers and families were consulted to assess support, and a financial model was developed for review. The team implemented the prototype in time to assess and adjust the plan before the big move. Learn more about The Exploris School by clicking here.